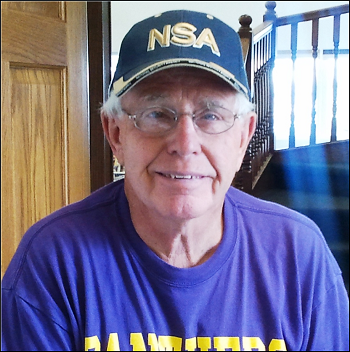 I had been tenting with grandkids at home but wanted to show them camping experience away from home. I did not feel comfortable taking them to campgrounds in a tent. Started looking at various dealerships for a 5th wheel trailer. It seemed as though they did not want to talk to an elder single woman, then I stopped in at Bowling RV. I was familiar with RVs to the extent that I knew pretty well what I wanted and expressed this to Randy Bowling, he spent time with me and explained some of the current features. As we continued to watch for just the right rig, one of the salesmen advised that he thought he had traded for what he thought would be the one. Since the people could not bring it in and pick up their new one for another month, he offered to take new one to them and bring the used one back for me to take a look. It was perfect, just what was wanted, that was 2005 and the beginning of the third generation camping. Every spring I would take the trailer to Bowling's for service and check over before enjoying the camping season. This year (in my mid-seventies) I have taken possession of a 2013 Cougar lite. Again was treated so well by all of the staff. I cannot say enough kudos for ALL from the front to the back. The service has been super and they have all been so great at answering my questions. I feel like they are family... "Thanks gang... You are the best!" Just thought I would drop you a quick note. We are home safe and sound:) I did put a little blurb on Bowling facebook page, but wanted to drop you a note as well. Thanks again for making our purchase happen. You went above and beyond and we so appreciate it. I know we are just going to love our Chinook and you made it happen. Being "newbies" to the whole RV thing, it seemed a little overwhelming to begin with, not sure how everything "worked" and how to use, but because Chris was able to answer all of our questions, from start to finish, we are truly excited about using it. We did visit with Randy a bit today but wanted to reiterate that Chris did a super job, from the first day we saw it, answering all of our questions, getting it all ready for us, making sure we were comfortable with everything, and shaking our hands and thanking us for our business as we left today. So, please share with Chris and Randy, and THANKS AGAIN!!!!!! "I think if you have an RV of any kind New or Used, you should not be without an extended warranty. I purchased a new Motor Home and have used my coverage 4 times in 2 years with repairs totaling over $2,000.00. I am thankful that with my extended coverage, I paid only a $50.00 deductible!" "We could not be more pleased with the Travel Supreme and how smoothly everything was handled. Doug, Betty, Les and Dave handled everything in a competent and professional manner. Dealing with them makes it easy to understand why you can be off playing golf and be confident that everything is going well. We are still trying to figure out all of the bells & whistles and getting everything set up. I think we will probably plan a quick trip or two to make sure we are all set before we head out to Arizona for a couple of months in January. We looked at so many different motorhomes that it is hard to keep everything straight but I kind of remember that there were two sets of keys but we could only find a single set. If there is another set around that would be great, fantastic if it contained the key to the trailer hitch pin, otherwise I will have another set made. We also appreciate the extra effort and expense you incurred to make sure we would not have any problems. Replacing all of the batteries, and the faucet and the radio went well beyond my expectations and I also really appreciate the diesel fuel and propane. Randy, all things considered this could not have gone better and if anyone has any concerns about a long distance purchase please feel free to use us as a reference." "Randy, thanks for all your help. We will definitely recommend Bowling RV to everyone. You have wonderful customer service. We will definitely be back for all our camping needs." Thanks again for everything you and Bowling RV did to help our growing family get a new camper. We love the camper and can't wait to use it this year and beyond! We were very pleased with the quality of service from you and your entire staff. The help from the gentleman in the shop (can't remember his name) was phenomenal while we were installing the adapter. The quality of service certainly did not go unnoticed. 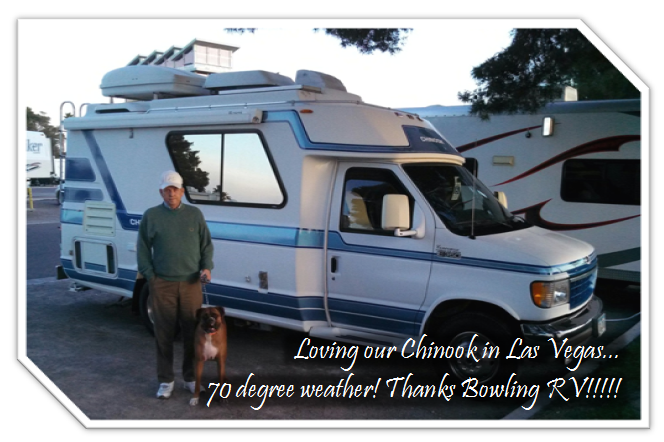 I will highly recommend Bowling RV to anyone shopping for an RV/Camper. We just picked up our new Columbus on Tuesday and absolutely everyone we worked with provided commendable service and assistance. At the risk of missing anyone, several service and parts guys that I don’t even know the names of all did a great job. Even today when I called but could not get through to you the person who answered the phone, I believe Christy?, asked, “is everything alright, I know you just picked up your camper this week”. Not many places “invite” that type of question because the answer can sometimes be less than positive. This small question sends a big message! Even though I realize it does not include everyone I will mention our sales person, Mike; finance Tammi, demo instructor Teresa, and I believe your son who’s name escapes me but I think he said he was the younger (according to him “better looking” son) all did a great job. A special shout out for Cody in service, the person who did the hitch install and took a look at the truck I had just purchased. I had just taken delivery on it and this was the first time I had driven it beyond taking it home so I had some questions. he was very helpful and informative. He really gave me a sense of confidence with this large step we took and with the image of what my future interaction will be with your organization. Thanks to all and looking forward to seeing you all again, just not too soon! (if you know what I mean) maybe winterizing time 2019!